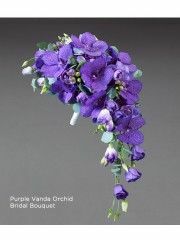 Here at Peterhead Flowers we know that our customers want the best of the best for a wedding, which is why we offer this exclusive wedding flower collection designed by the famous Vera Wang. The selection we have on offer centres around luxury and sophistication, making it the perfect choice for a truly magnificent wedding flower arrangement on your special day. The florists in Peterhead have over 40 years of experience in the floristry industry, which guarantees that your Vera Wang wedding flowers will be crafted with delicacy and skill. At Flowers Peterhead we order fresh flowers daily to guarantee that your flower arrangements will be of the highest quality possible. We offer a fantastic flower delivery service in Peterhead and the surrounding area, which means that your wedding flowers will be delivered safely and promptly to you, as we understand just how important they are. However, we do offer flower delivery services further afield, so that your wedding flowers are bound to reach any location you desire. As part of the Interflora brand we are linked to flower delivery services across the United Kingdom, so your wedding flowers can be delivered to any destination. Flower delivery services abroad are also an option when ordering from the florists in Peterhead, as we are linked to international flower delivery services in140 different countries worldwide. Our dedicated team here at Flowers Peterhead will carefully oversee your order until it has been safely delivered to its destination. 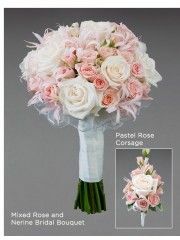 We understand that your wedding flowers are of the utmost importance, and we will always treat your order as such. Flowers are such an integral part of the special day, which is why we have carefully designed an order service which revolves around you. 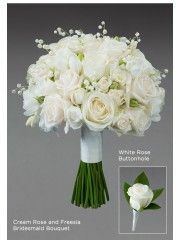 Gorgeous Vera Wang wedding flowers are available from Peterhead Flowers today. The Modern wedding flowers collection designed by Vera Wang and provided by Peterhead Florists is one of sophistication and grace. If you’re looking for bold and unique wedding flowers of the highest quality, look no further than the Modern Vera Wang wedding flower collection from Flowers Peterhead. The graceful designs, combined with high quality flowers, means that your exclusive wedding flower arrangements won’t disappoint. Here at Peterhead Flowers we only use the best flowers available, which guarantees utmost satisfaction with our customers. The range of flower arrangements in the Modern wedding flower collection by Vera Wang cover all your wedding flower needs, including bridal bouquets and corsages. All of those attending a vastly important occasion such as a wedding will be stunned by the striking nature of the top quality flowers designed by Vera Wang and delivered to you by Peterhead flower delivery services. Amongst the wedding flower collection we have incredible flower arrangements which are perfect to decorate any venue, be it for the service, reception or both. These stunning wedding flowers are for those with bold and adventurous tastes, and your guests will unable to forget just how fantastic the wedding flowers were. Peterhead flower delivery services are highly praised, so trust us to deliver your exquisite Vera Wang wedding flowers safely to you. Make a fantastic choice today, firstly by choosing wedding flowers from the Vera Wang Modern collection, and secondly by choosing Peterhead Flowers to provide them for you. Peterhead Flowers Vera Wang Romantic Wedding Flowers Collection Order gorgeous wedding flowers from the Romantic wedding flower collection designed exclusively by Vera Wang from Peterhead Flowers. 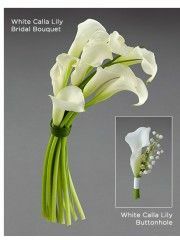 A wedding is a magnificent occasion, so Flowers Peterhead aim to provide you with magnificent flowers to match. The Vera Wang wedding flowers collection is full of sophistication and grace, which makes it a perfect choice for a glorious wedding flowers. The florists in Peterhead have over 40 years of experience in the floristry industry, so we can guarantee that your wedding flowers will be of fantastic quality and will be crafted with care and attention to detail. The florists would be delighted to hear from you if you desire any advice concerning your important wedding flower order, or if you have any special requests which you want to be taken into account. The rest of the team here at Peterhead Flowers would also be willing to help with any general queries you might have concerning your order. Flowers Peterhead recognise just how important your wedding flowers are to you, which is why we will carefully oversee your order until it has been safely delivered. The florists in Peterhead aren’t satisfied until you are! We offer fantastic flower delivery services in Peterhead and the local area, so your Vera Wang wedding flowers will be safely delivered to you. However, as part of the Interflora brand Peterhead flower delivery services go further afield. We are linked with flower delivery services in a huge range of locations across the United Kingdom, so your wedding flowers will be delivered to wherever you want them to be. Delivery abroad is also an option, as Flowers Peterhead are linked with international flower delivery services in 140 different countries across the world. 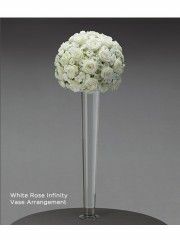 Choose Peterhead Flowers for stunning wedding flowers from the Vera Wang romantic collection today. 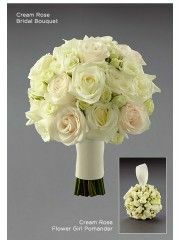 Blooming Romantic Vera Wang Wedding Flowers by Peterhead Florists Weddings are about love and romance, which is why the Vera Wang Romantic wedding flower collection is perfect for you to choose from for beautiful wedding flowers. At Peterhead Flowers we recognise that you want only the best for a wedding, which is why the collection exclusively designed by Vera Wang are so popular. The Romantic collection is perfect for those wanting to create an intimate and personal feel at their wedding. It is also perfect for those who have delicate or subtle tastes, and wish for their wedding flowers from the florists in Peterhead to match their desires. The Romantic wedding flowers collection by Vera Wang includes glorious bridal bouquets, bouquets for bridesmaids, as well as boutonnieres and corsages. All of the flowers from the wedding flower collection at Peterhead are of fantastic quality, and we are committed to maintaining fantastic flower delivery services to match. The bridal bouquets are inspired by classic and tasteful arrangements, and the florists in Peterhead will make sure that they perfectly compliment the glowing bride. The Romantic wedding flower collection contains dramatic flower arrangements which are also perfect for decorating any venue, whether it be for the service or the reception. Romantic flowers designed by Vera Wang are perfect for a special day, and are bound to wow all your guests. 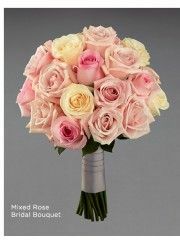 Choose glorious wedding flowers from Flowers Peterhead today! 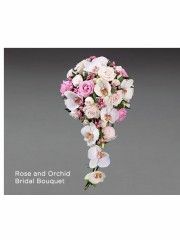 The Romantic wedding flower collection designed by Vera Wang are a fantastic choice from Peterhead Flowers. A wedding is a joyous celebration, full of romance, happiness and dreams being fulfilled. So why not choose for dreamy wedding flowers from Flowers Peterhead? The Vera Wang Traditional wedding flowers collection is ideal for those who value classic and traditional designs of the highest quality. Here at Peterhead Flowers we know just how important your wedding flowers are, which is why we are dedicated to making sure you are fully satisfied. The florists in Peterhead over 40 years of experience in the floristry industry, meaning that your wedding flowers arrangement will be created with skill and expertise. Peterhead florists are pleased to help customers in any way possible, be it giving advice or taking into account any specific requests from you. The dedicated team here at Peterhead Flowers will carefully oversee your order until it has been safely delivered and has completed its journey with us. The team are also delighted to help with any more general queries concerning your order, and of course we always value your feedback. Peterhead flower delivery services operate in Peterhead and the local area, ensuring that your wedding flowers will be safely delivered to the location of your wedding. Should your wedding be taking place further away, ordering your flowers with the florists in Peterhead does not mean that they are in any way limited to the local area. We are part of the Interflora brand, and therefore are able to deliver your flowers to a huge variety of locations across the United Kingdom. Flower delivery services abroad are also available, as we are linked to international flower delivery services in 140 different countries across the world. Look no further than flower delivery services in Peterhead for all of your needs. 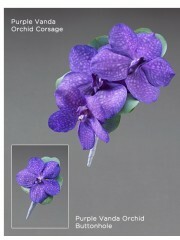 Ordering fabulous wedding flowers from the Vera Wang traditional collection is a decision you certainly won’t regret. Choosing wedding flowers can be a difficult process, but the Vera Wang traditional wedding flower collection provided by Peterhead florists is a fantastic place to browse. Choosing from this collection guarantees that your flower arrangement has been designed by the famous Vera Wang, and ordering from Peterhead Flowers guarantees high quality services. The team here at Flowers Peterhead understand that organising a wedding is an exceptionally stressful time, which is why your order from Peterhead florists will be as stress free as possible. The beautiful flower arrangements available in the range from Vera Wang are simple and graceful, which is why the team at Flowers Peterhead want your flower order to be simple for you as well. Amongst the traditional collection from Vera Wang are stunning bridal bouquets, splendid bridesmaid bouquets as well as boutonnieres and corsages. This variety of items in the Vera Wang traditional collection will please all guests at the wedding. The bridal bouquets are so gorgeous that they will be completely unforgettable for all of those present on this special day. We are also delighted to be able to offer flower arrangements which can be used as decorations at any venue, such as table decorations for the reception. Purchasing a wedding flower arrangement from Flowers Peterhead is a decision you certainly won’t regret! 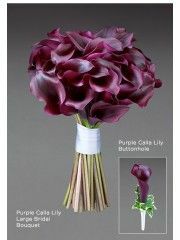 Purchase from the Vera Wang traditional wedding flower collection provided by Peterhead Flowers for exceptional quality. 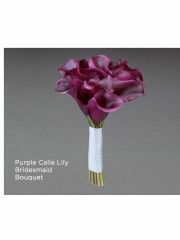 Here at Peterhead flowers we are delighted to offer you our wedding flower collection designed by the famous Vera Wang. Vera Wang is based in New York and her designs are known worldwide for their simple and timeless style and beauty. They regularly appear in London, Paris and Milan fashion weeks. Vera Wang’s wedding designs have a luxury touch to them incorporating the highest quality roses, orchids and lilies in beautiful colours. Choose from the vibrant modern collection, the simple and elegant traditional collection and the girly romantic collection. Vera uses the traditional wedding flowers of roses, orchids and freesias and puts her own modern spin on colours and themes. Our Vera Wang wedding collection is sure to make your wedding everything you’ve ever dreamed of. To create your Vera Wang designed arrangement, we only ever use the freshest, highest quality flowers. All of our flowers come delivered into our stores from farms in Holland. This ensures that your bouquets, buttonholes and corsages will look their best on the day of your wedding and for days to come. At Peterhead flowers we always put the customer first and we fully appreciate that your wedding day is one of the most important days of your life. 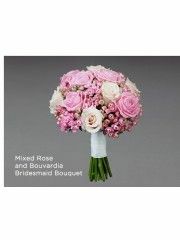 We also offer a bespoke design service here at Peterhead flowers. If you would like to modify or alter one of our Vera Wang designs, just give us a call or an email and we can advise you on how to really make your bouquet shine. Peterhead flowers Is part of the well-recognised Interflora network of florists so if your wedding is a little farther afield, your bouquets, corsages and buttonholes can be delivered via our network of partner stores in over 100 countries worldwide. Our delivery drivers have worked with us for many years here at Peterhead flowers so we trust them to drive with the care and attention required to have your flowers delivered in the pristine condition they left the shop in. 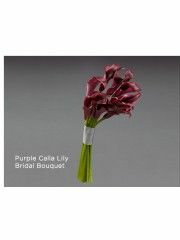 Your flowers can be delivered to the location of your wedding or to your home, whichever is easiest for you. If you have any special requests regarding the delivery of your flowers, don’t hesitate to pass along your message and we can relay this to our delivery drivers. No matter how big or how small your request is, we’ll try our best to help you out. Peterhead flowers also offers a fantastic same day delivery service so if you would like your flowers delivered that very same day, just make sure to place your order before 5pm. Your Vera Wang wedding flowers are sure to have your guests talking for weeks to come! Their simple and timeless beauty will suit any bride. 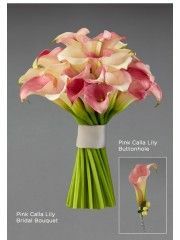 If there is anything that we can do to make your day even more special, just give one of our florists a call. Peterhead florists is here to make your wedding flowers everything you’ve ever dreamed of.